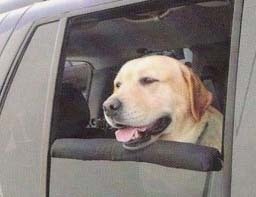 The Auto Window Bumper is a headrest cushion for dogs. Simply adjust the window to the desired height and slide on to the top of the window. Metal clips inside the pad holds the bumper to the window. Made with a nylon Cordura for durability.